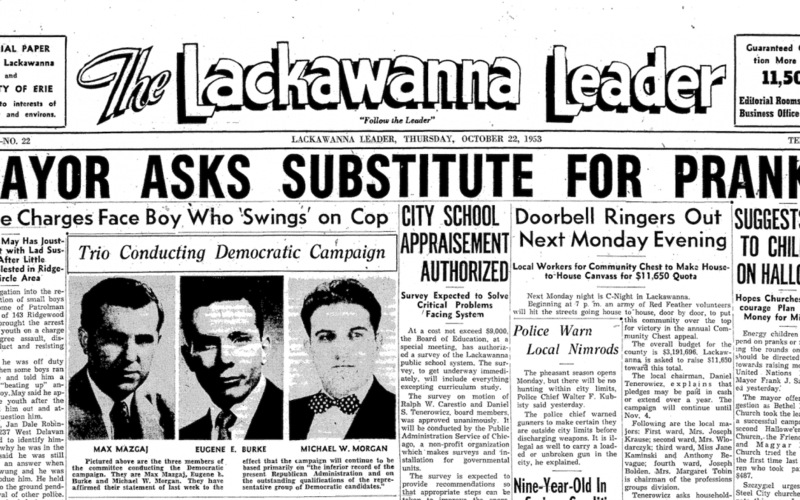 The front page of the October 25th 1953 issue of the Lackawanna Leader is the 7 millionth page to be uploaded to the NYS Historic Newspapers project. 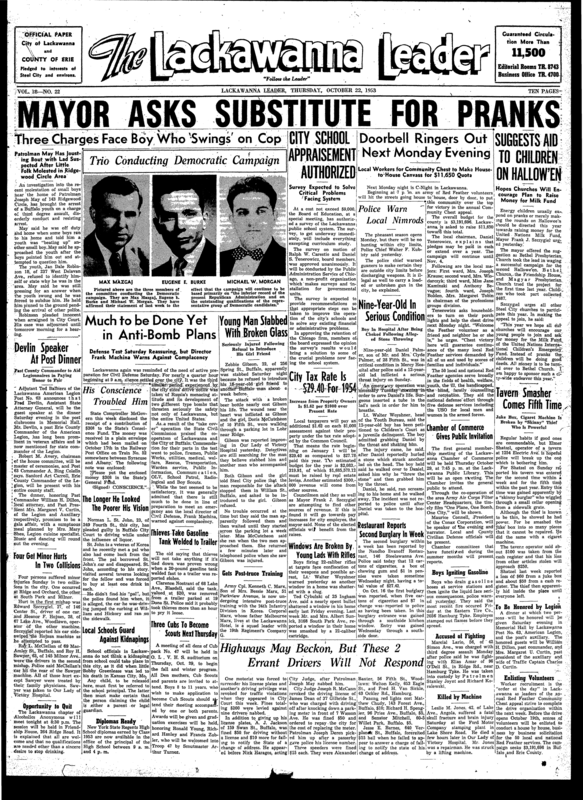 This title is provided to us by the Lackawanna Public Library.The NYS Historic Newspapers project provides free online access to a wide range of newspapers chosen to reflect New York’s unique history. To learn more, please visit the website here.